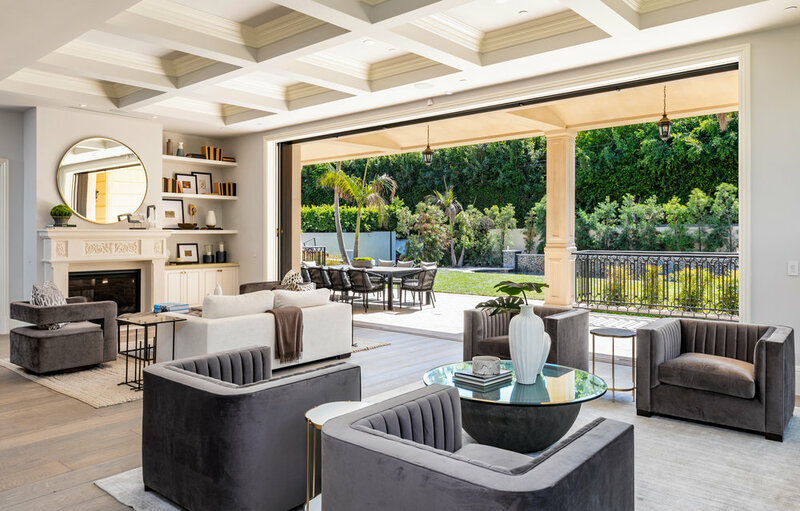 Sensational, brand-new BH 6bd/11ba European Villa. Explementary scale & volume w/ beautiful finishes, dramatic floor to ceiling windows, intricate crown molding, luxurious high/coffered ceilings throughout. 2- story foyer w/ wrought iron staircase. Main floor office/study w/ FP, dual powders, well-appointed DR w/ herringbone laid floors & wine closet. Open LR w/ martini bar & FP. Gourmet eat-in kitchen w/ upgraded appliances & butler's pantry. Sumptuous Master Suite w/ sep his/hers baths w/ marble floors, cozy FP & a terrace overlooking the grounds. 3 addtl spacious ensuite bds w/ large closets & mountain/backyard views completed upstairs. Every luxurious amenity imaginable: commercial grade elevator, gym w/ sauna & full bathroom, storage space, wine cellar, elegant restaurant sized bar w/ alabaster back lit countertops, spacious ensuite bedroom w/ huge walk-in closet, theatre w/ seating for 12, swimming pool, spa & outdoor kitchen. Experience the finest that Beverly Hills has to offer. 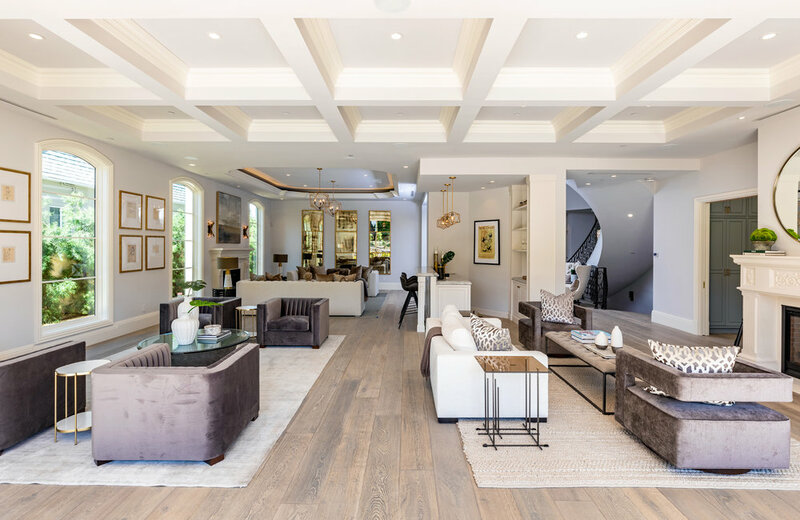 Sensational, brand-new Beverly Hills 6 bedroom, 11 bath European Villa. Exemplary scale & volume w/ beautiful finishes, dramatic floor to ceiling windows, intricate crown molding, luxurious high/coffered ceilings throughout. 2- story foyer w/ wrought iron staircase. Main floor office/study w/ FP, dual powders, well-appointed DR w/ herringbone laid floors & wine closet. Open LR w/ martini bar & FP. Gourmet eat-in kitchen w/ upgraded appliances & butler's pantry. Sumptuous Master Suite w/ sep his/hers baths w/ marble floors, cozy FP & a terrace overlooking the grounds. 3 addtl spacious ensuite bds w/ large closets & mountain/backyard views completed upstairs. Every luxurious amenity imaginable: commercial grade elevator, gym w/ sauna & full bathroom, storage space, wine cellar, elegant restaurant sized bar w/ alabaster back lit countertops, spacious ensuite bedroom w/ huge walk-in closet, theatre w/ seating for 12, swimming pool, spa & outdoor kitchen. Experience the finest that Beverly Hills has to offer.